Okay, let’s be real, y’all know I end up buying most of these for myself, too. I justify these purchases because for some reason, NO ONE buys me bookish gifts. Besides bookstore gift cards, I can’t remember receiving a bookish gift since childhood. I guess people assume I already have that area covered. And I do because clearly no one else is going to get them for me, lol. So, in the spirit of buying for the booklovers in your life along with full permission to treat yourself, I’ve pulled together my list of favorite finds for booklovers. Obviously, books are a great gift for a booklover, but in case you’re looking for something in addition to that or some stocking stuffers, these may fit the bill this holiday season. When reading an ebook, you can highlight and save quotes. But what about for the print lover who doesn’t want to mark up their books with highlighters? 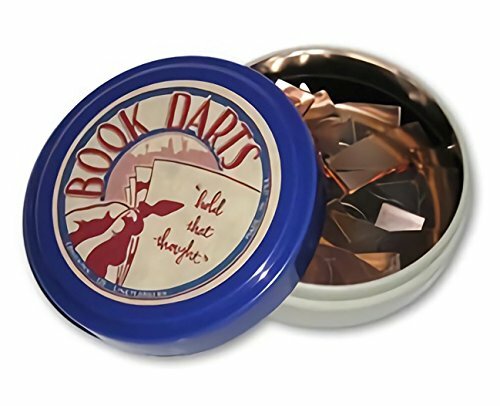 Enter the book dart. 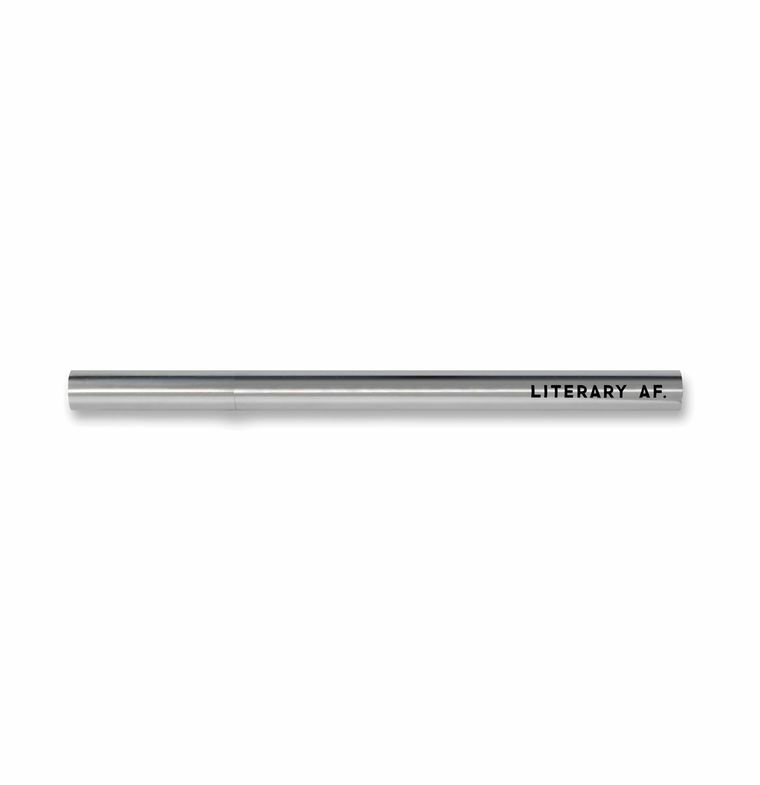 This are tiny, light metal bookmarks that attach to a single page and point to the line or passage you want to go back and reference. I use these all the time. They are so lightweight that they won’t weigh down your book even if you mark a bunch of pages. Then, you can remove them easily when you go back and pull the quotes or reread passages. Or you can leave them in there permanently. You get a lot in a tin, so I have some references books that I keep the book darts in even after I’m done because I know I’ll need to flip through again. This is a new one for me this year, and I’m in love with it. I read a lot of print books and have a big purse for just that reason. But books (and e-readers) can get beat up in a purse or backpack. Enter the book beau. 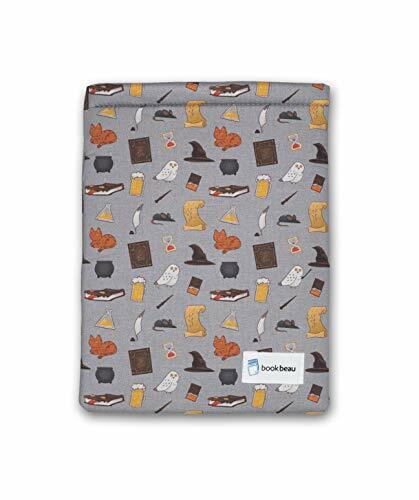 This is a cushioned pocket that keeps your book safe and is super cute to boot. They come in many different sizes, e-reader size up to fat hardback size. And besides the functionality of it, it’s a conversation starter when you pull your book out of such an adorable pouch. Broadcast your book love for the world to see. 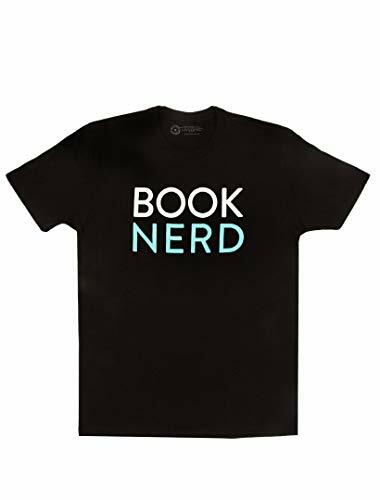 My favorite bookish t-shirts lately are from Out of Print. I have the Book Nerd one pictured here and the library card stamp one. You can also get a number of the designs on non-T-shirt things. This is one that I definitely bought for myself. I couldn’t resist a pen with the label Literary AF. (There are a few more sayings if that one’s not your style.) Easy, Tiger has fun gifts that aren’t just book-related, so I encourage you to poke around the site. This pen is not cheap but it’s refillable and well-made. It also comes in a super cute giftable box. I also love their bookmarks. As a side note, if you want a reading journal you can print out and that is already organized for you, sign up for my newsletter and get the download in your inbox. I’ve been a subscriber to Book of the Month club for 2 years now, and I have been really pleased with the service. Each month, they select five books for you to choose from. You pick one and get a beautiful hardback for significantly cheaper than the list price. Plus, you often get books ahead of their wide release, so you can be the first to read it. The selections usually include at least one thriller, one literary pick, sometimes a non-fiction, and often a quirky pick. To my great delight, this year they fixed my one complaint I had about the service—no romance. I was thrilled to see selections like The Kiss Quotient, The Proposal, and One Day in December this year. Yay, romance! So if you want to check it out for yourself or give as a gift, use my link and I think you get your first book free. Just want a big box of romance with maybe a general fiction thrown in every now and then? Then you might want to check out the Fresh Fiction Box Not To Miss. 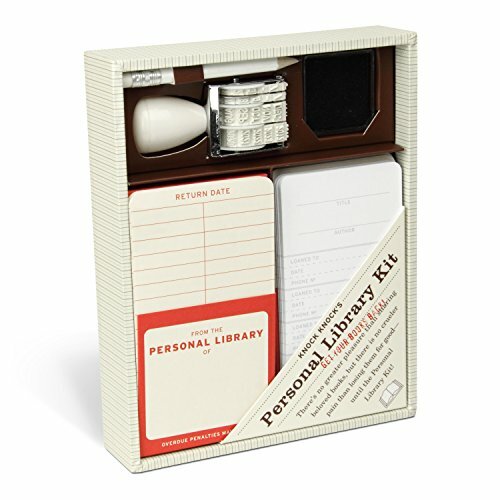 Each month you get a box of physical books and codes for a few ebooks. 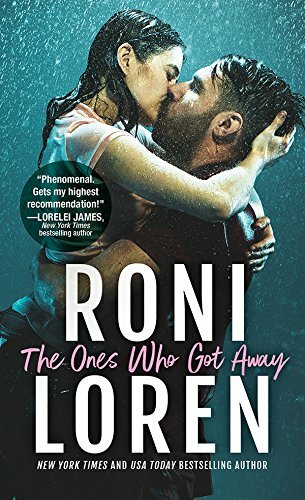 This is a romance focused box and is often filled with new releases. 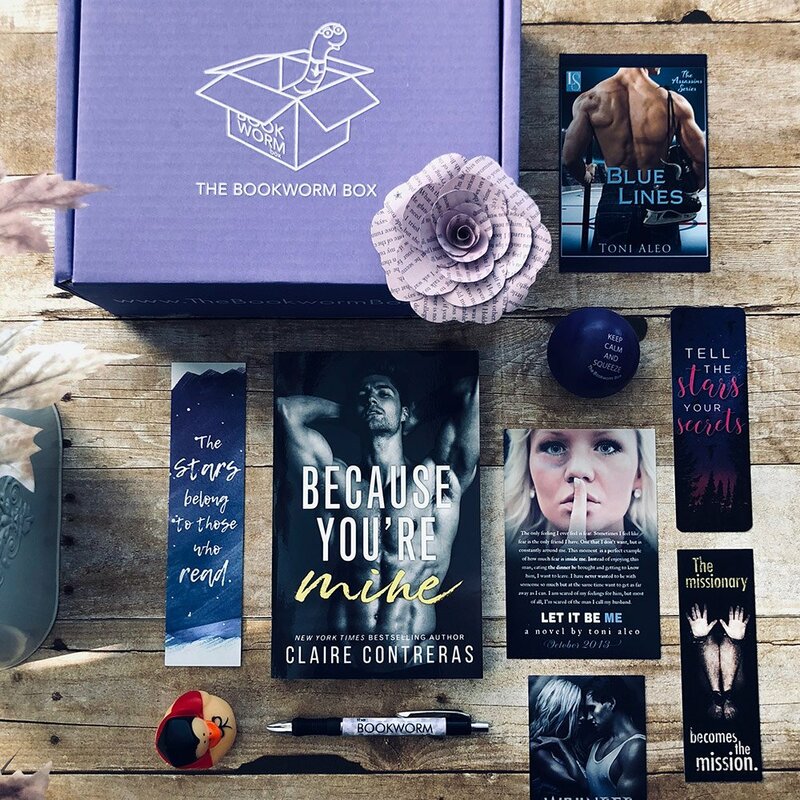 What I love about this box is that you can sign up for a monthly subscription or you can buy a single box when you’re jonesing for a surprise box of books. I don’t subscribe but I get the one-time box two or three times a year. It’s always fun opening the box and not knowing what I’m going to get. This box is the brainchild of author Colleen Hoover. Each box comes with a signed book and author swag. The best part? It’s for charity. So you can feel extra great about getting this box. 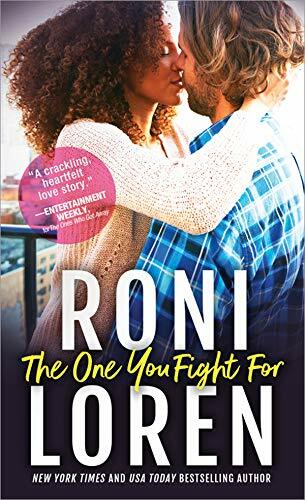 I recently donated over 100 signed books to The Bookworm Box, so even if you don’t want to subscribe to the box but want a signed book from me, proceeds going to charity, grab one here. 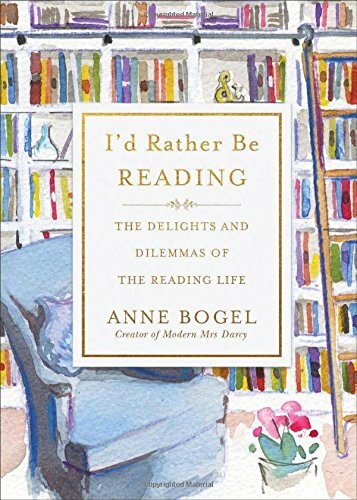 This little essay collection by Anne Bogel (of the Modern Mrs. Darcy blog) is a perfect gift for a reader regardless of their genre preferences. Each essay covers a different topic in the reading life, and my guess is every booklover will find things to relate to. For an extra treat, try this one in audio. I own this one but haven’t read it yet. 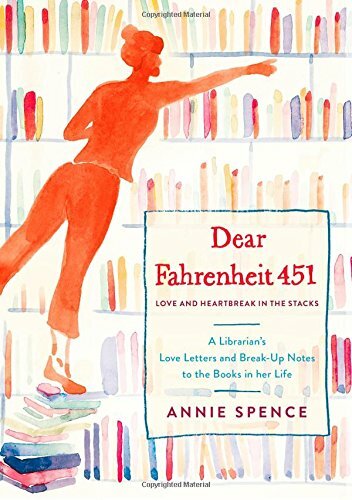 I love the concept though—a librarian writing love letters or break up notes to books that have meant something to her. 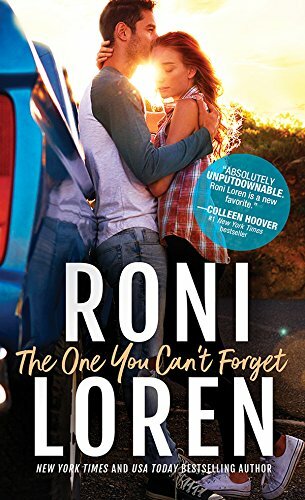 This is another one that fits readers regardless of genre. Have a horror lover in your life? From the same publisher as Paperback Crush and following a similar format, this book goes through the history of horror fiction in the 70s and 80s. I own this one but haven’t read it yet. I’ve flipped through, though, and am really looking forward to it. Like above, go with the paperback to get the full effect of this book. 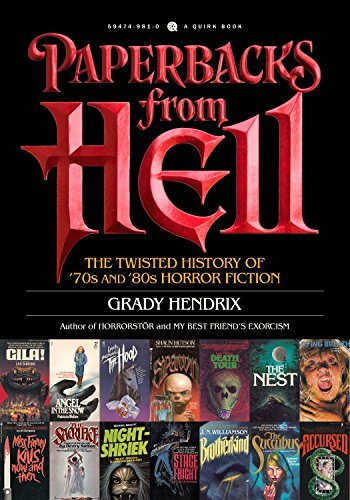 Also, I’ve read a few of Grady Hendrix’s horror novels so I have no doubt the essays will be worth reading. That’s my list for this year. Coming soon, I’ll do a post on my 5-Star reads from this year if you would prefer actual books as gifts. So what bookish gift are you hoping to receive this year? Do you get and/or give a lot of books and bookish gifts for the holidays? Can a Love of Reading Develop After the Formative Years? Photo by Kate Hiscock (click pic for link)So, I'm sure this is the most obvious statement in the world, but I love reading, have always loved reading. I can think back through my childhood and mark time based on the books I was into during that stage--fantasy in elementary (The Wrinkle In Time series, The Never Ending Story) along with a bazillion Babysitter's Club books, gothic romance and YA horror in middle school, then adult horror, romantic suspense, and paranormal in high school. So books have always been a huge part of my life. That came from having a mother who was and still is an avid reader. Books were always around the house and a trip to the library was as excitig as a trip to the mall. So on this upcoming Mother's Day, I need to not just thank my mom for being so supportive and fantastic, but also for giving me the foundation for this career. I never would've found my way to writing, if she wouldn't have role-modeled a love of books. But here's where my question comes in. Most avid readers I know have similar stories to mine above. 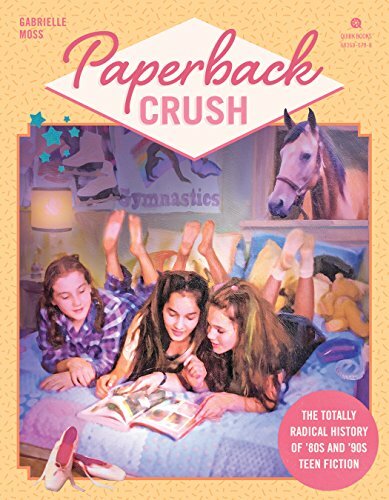 They found their way to books very early and were already avid readers by high school. But what about those who weren't "born" readers. Maybe because they didn't have parents who read for pleasure or maybe because there was more emphasis on other activities like sports or music, etc. This seems to happen a lot with boys--whether that's because boys are more drawn to other activities or we just don't encourage boys enough when it comes to reading for fun, I don't know. But my husband is one of these people. He's intelligent, did well in school, absorbs information like a sponge, is introspective--has all the makings of a bookworm. But he's never been a reader. He can probably count the number of books he's read for pleasure in adulthood on two hands, maybe one hand if you take out non-fiction business books and books I've written. And this makes me sad. Not because I need him to like the things I like, but because I feel like it's tragic to miss out on the magic of a book sweeping you away. He works hard, has a stressful job, travels a lot, is bombarded with cell phones and tvs and radios and computers all day long. Getting lost in a book could be such an escape. I feel compelled to drag him over to my side of the reader/non-reader fence. He is open to it. I wanted to get him a Kindle Fire to see if that would make reading a viable option when he's traveling, but we ended up with an I-pad. Which is great, Ipads are fantastic. But they also offer a lot more distractions that can be more tempting (to a non-bookworm) than reading a book. So I don't know if that's going to make any significant change. Part of me thinks that if he finds the right kind of story, he'll get hooked, realize he's been missing out all these years. But maybe not. Maybe avid readers are developed early and once people are adults, they're too set in their ways to get passionate about books. But I hope not. So what do you think? Do you think it's hard to become an avid reader later in life? When did you fall in love with books?